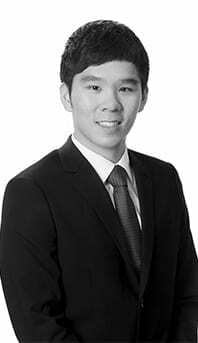 Jonathan joined Tanner De Witt in September 2014 after obtaining a JD and Postgraduate Certificate in Laws from City University of Hong Kong. In January 2017, Jonathan completed his training and qualified as a solicitor. He currently assists our Corporate and Commercial practice. During my high school years, I was required to complete 40 hours of volunteer work as part of my Ontario Secondary School Diploma, so I chose to volunteer at a long-term geriatric care centre. My task was to assist seniors with Parkinson’s disease in social games. It was new and fulfilling, so volunteering naturally became my favorite weekend event. Then I decided to join a youth group of a non-profit organisation to become more involved with the community by organising and participating in charitable events and raising funds. It was definitely not an easy task to raise funds, especially when we were on a tight budget. Thus, I was always amazed at how other non-profit organisations managed to raise millions of dollars. Then I started to wonder how much of those funds were actually being used for the benefit of the community and whether they were used for any ulterior purposes. That was when I decided to become a lawyer. I normally start off by checking emails to see what matters need to be done. Then I would make myself a latte. Generally, on a typical day, I would be meeting/liaising with existing and new clients, drafting and reviewing documents and having internal meetings with colleagues to progress matters. What part of being a lawyer to you personally find most satisfying? Most challenging? No two matters are the same, which makes it challenging every time. However, it is also the most satisfying part because I always learn something new – whether skills or knowledge. Being a lawyer can be stressful at times, how do you maintain a good work-life balance? Time management is the key to maintaining a good work-life balance. I normally set a deadline to every task I do and try to finish it well before my deadline. That way, I could plan ahead and make time to spend with my family and friends. I normally would go to theaters to watch movies and attend classes to learn new skills – i.e. baking class. What’s the best piece of advice you have ever received during your legal career? “Think outside of the box.“ I was told that a lawyer should not always restrict his/her route of thinking to one path, but instead be brave and try to carve out new paths, which may lead to a better solution for his/her clients. If you had not become a lawyer, what other professions would you have considered? I would probably be in the F&B industry running a coffee shop and enjoying my time as an owner/barista. You can find out more about Jonathan here.